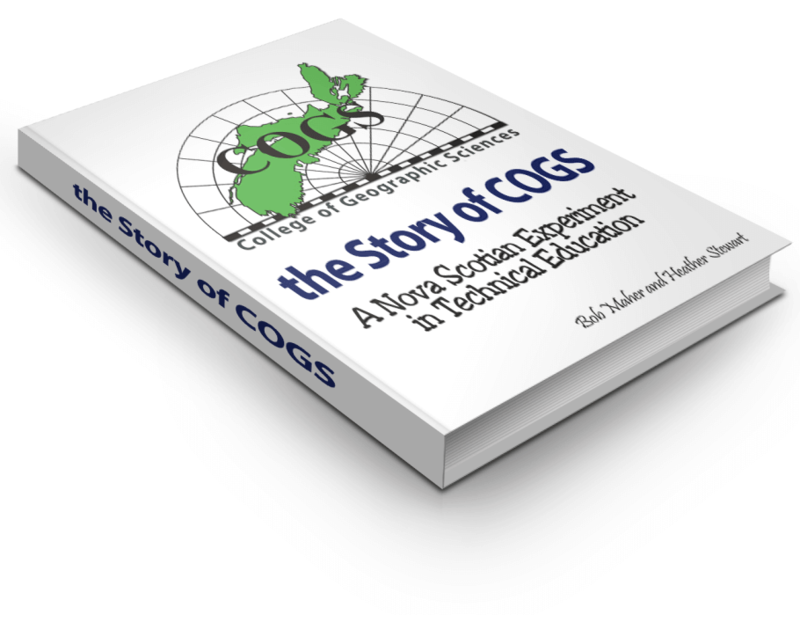 Dr. Bob Maher has started to research ‘the story of COGS’. This is a personal project for Bob and his wife, Heather Stewart. They arrived in Lawrencetown in 1980 when Bob along with Bruce Peveril taught the first Advanced Diploma program in Scientific Computer Programming. 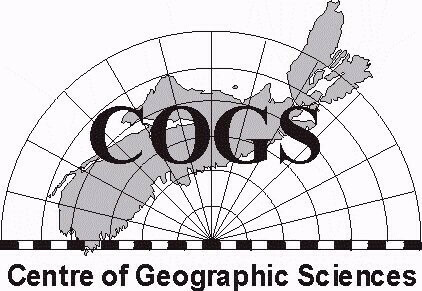 Over the next six years, the ‘survey school’, Nova Scotia Land Survey Institute (NSLSI) was transformed into the College of Geographic Sciences (COGS). It was a time of creativity and innovation in technical education with new programs in Business Computer programming, Computer Graphics and GIS to complement the Remote Sensing program. NSLSI was officially renamed COGS in 1986. Bob and his family left COGS in 1988, travelling and working in Indonesia, California, Ontario and British Columbia. They returned to Nova Scotia in 1999 and started the next chapter, developing the Applied Geomatics Research Group (AGRG). Meanwhile, in the 1990s, COGS had become the Centre of Geographic Sciences and was now part of the Nova Scotia Community College (NSCC). One of primary outcomes of any learning institution are its graduates. One can compile the view from the teachers’ perspective but this may be quite different than the students’ perspective. Using social media, Bob and Heather want to reach out to the COGS alumni community. We are interested in photographs, articles, stories and feedback on this project. You can connect with us directly at either [email protected] or [email protected]. Over Christmas, we will be visiting family in British Columbia but will still be online and can be contacted via email and will be happy to answer any questions and to receive comments while on the road. New material will be forthcoming on our return to Paradise in the Annapolis Valley so please keep the alumni contributions coming. While Bob’s academic background is Geography, and his role at COGS was as Head, Department of Computer Programming we want to make this as inclusive process as possible. We are interested in all aspects of Geographic Sciences: Surveying, Cartography, Planning, Marine Geomatics, Business Geographics, Remote Sensing, GIS and related Programming. The time frame is from 1980 onwards. However the 1970s are good too. Bob Maher and Heather Stewart. Paradise, Nova Scotia.